Lisa M. McKnight – Of Counsel – Salmon, Lewis & Weldon P.L.C. 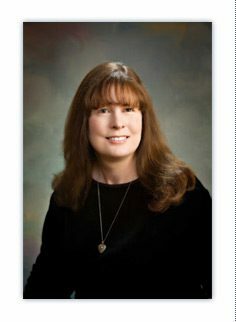 Lisa McKnight is one of the six founding attorneys of Salmon, Lewis & Weldon. Ms. McKnight’s practice focuses on environmental and natural resources law, Indian law, and federal administrative law and procedure. Ms. McKnight represents water and power providers, including the Salt River Project (“SRP”), the San Carlos Irrigation and Drainage District and Arizona municipalities, in litigation and regulatory compliance matters involving the Endangered Species Act, the National Environmental Policy Act, and other federal laws affecting the use of natural resources. From the inception of her practice, Ms. McKnight also has represented SRP and other water users in Arizona’s general stream adjudications and in complex negotiations to settle the water rights of Arizona Indian tribes. Ms. McKnight also represents SRP in its capacity as a power provider on environmental and Indian law matters affecting SRP’s operation of the Navajo Generating Station, located on the Navajo Reservation near Page, Arizona. Negotiated numerous Indian water settlements on behalf of the Salt River Project, including the preparation of multi-party agreements and legislation enacted by Congress to settle the water right claims of the Salt River Pima-Maricopa Indian Community, the Fort McDowell Indian Community, the San Carlos Apache Tribe, the Zuni Heaven Reservation, the Gila River Indian Community, and the White Mountain Apache Tribe. Successfully negotiated with the United States Fish and Wildlife Service and other parties on behalf of Salt River Project to obtain permits under the Endangered Species Act authorizing the incidental “take” of endangered and threatened species in connection with Salt River Project’s water and power operations. Negotiated the legal terms of an incidental take permit issued by Fish & Wildlife Service in 2003 for SRP’s continued operation of Roosevelt Dam and Lake. The permit and its accompanying Roosevelt Habitat Conservation Plan authorized, minimized and mitigated the incidental take of endangered, threatened and candidate bird species for a period of 50 years. Participated in multi-party negotiations leading to the issuance of an incidental take permit in 2005 for the continued operation the Lower Colorado River system of dams, reservoirs and power generation facilities. The permit and its accompanying Lower Colorado River Multi-Species Conservation Plan authorized, minimized and mitigated the incidental take of 26 endangered, threatened and sensitive species for a period of 50 years. Negotiated the legal terms of an incidental take permit issued by Fish & Wildlife Service in 2008 for SRP’s continued operation of Horseshoe and Bartlett Reservoirs on the Verde River in Arizona. The permit and its accompanying Horseshoe and Bartlett Habitat Conservation Plan authorized, minimized and mitigated the incidental take of endangered, threatened and candidate bird, fish, frog and snake species for a period of 50 years. Successfully represented SRP, the operator of Roosevelt Dam in Arizona, in a 1996 lawsuit brought by an environmental group alleging that the Bureau of Reclamation violated the National Environmental Policy and Endangered Species Act through the construction of modifications to the dam that impacted endangered species. Successfully represented SRP in two suits brought by environmental groups in 1997 and 2001 alleging that the Secretary of the Interior’s operation of the Lower Colorado River reservoirs, dams and power facilities violated the Endangered Species Act. Successfully defended the San Carlos Irrigation District against a lawsuit brought in 1999 by the San Carlos Apache Tribe alleging that the Bureau of Indian Affairs’ operation of San Carlos Reservoir violated multiple federal environmental laws, including the Endangered Species Act and National Environmental Policy Act. Successfully represented the City of Scottsdale in a 1998 suit brought by homeowners’ associations and an environmental interest group challenging the City’s construction of the Thompson Peak Parkway and related recreational and flood control projects under numerous federal environmental laws. After winning in the district court, participated in mediation proceedings in 1999 in the United States Court of Appeals for the Ninth Circuit, and prepared the agreements and other documents resulting in a permanent settlement of the litigation. Represented the City of Yuma on matters involving the City’s entitlement to Colorado River. In 2005, prepared the application for incidental take permit submitted by the City to the United States Fish and Wildlife Service in connection with the Lower Colorado Multi- Species Conservation Program. “Salt River Pima-Maricopa Indian Community Water Rights Settlement,” State Bar of Arizona Environmental and Natural Resources Section Newsletter (1991). “Endangered Species Act Elements and Federal-Tribal Consultation Requirements,” Tribal Natural Resources Law (CLE International) (August 22, 2013 and August 8, 2014) (speech and written materials). “The Future for Coal as an Electric Generating Fuel in the U.S—Pending Regulatory and Policy Developments,” Tribal Energy in the Southwest (Law Seminars International) (December 10, 2013) (speech and written materials). “Critical Habitat and Adverse Modification of Critical Habitat,” State Bar of Arizona, Environmental and Natural Resources Section, Update on Critical Habitat Designations Under the Endangered Species Act (February 1, 2012). “Conservation Easements and Incidental Take Permits: Complementary Enforcement Tools?” Conservation Easements Seminar, CLE International (2007). “The Endangered Species Act and National Environmental Policy Act,” National Environmental Policy Act Seminar, CLE International (2007). “Endangered Species Act Fundamentals and Application,” Arizona Bar Association, Animal Law Section Meeting (2006). “Endangered Species Act Issues in Arizona,” American Bar Association, Natural Resources Section, Arizona Chapter (2002). “The Endangered Species Act: Statutory Requirements and Recent Developments,” Cambridge Institute (1995). “Water Rights and Constitutional Takings,” Arizona Water Law Seminar, CLE International (1995 – 1997). “Learning to Get Along: The Evolution of the Laws Governing Surface Water Rights in Arizona and Continuing Disputes Over the Allocation of a Scarce Resource,” Arizona Water Law Seminar, CLE International (1994).